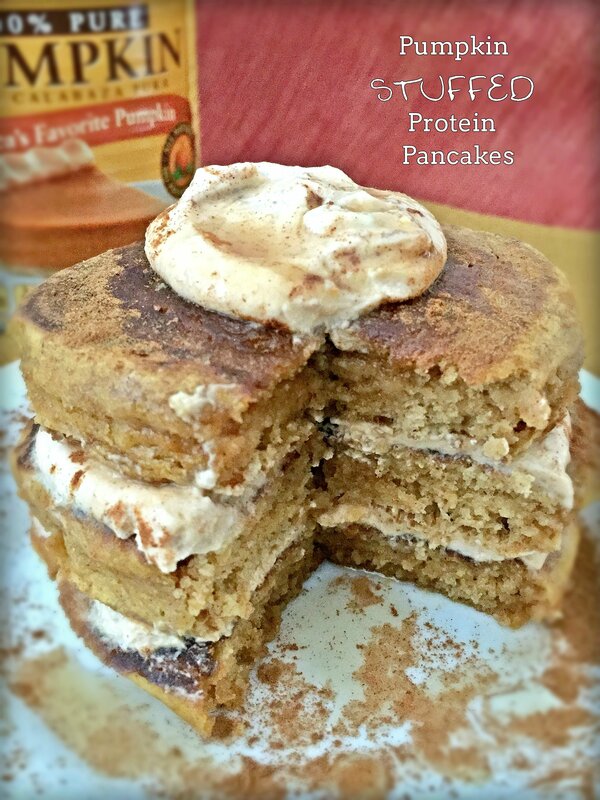 These pancakes are a great balance of protein, carbs, and fat. If you want to decrease the carbs and sugar slightly, simply omit the maple syrup or substitute it with an all natural no-calorie sweetener such as stevia to taste. Whisk all pancake ingredients EXCEPT egg whites in a large bowl and whisk. If batter is too thick add a little extra water (1 tsp at a time). In a separate bowl, whisk egg whites until frothy and slightly stiff. Gently fold egg whites into batter and allow batter to sit for 3 minutes. Heat a griddle or non-stick skillet over medium-high heat and light coat with cooking spray. Add batter to skillet to form 6 small pancakes. When bubbles start to form on the top of the pancakes (about 2-3 minutes), gently flip pancakes and cook for an additional 2-3 minutes or until cooked through. Transfer pancakes to a plate and set aside. Combine all of the filling ingredients in a small bowl. Top one pancake with 2 tbsp of filling, top with another pancake and another 2 tbsp of filling. Top with one more pancake. Recipe makes 6 pancakes with each serving containing 3 pancakes and 1/4 cup of filling.